Online shooters are almost always focused on competitive, team-based play. Developers and consumers alike have come to expect the player versus player style that a shooter provides. Warframe, however, strives to break that mold. 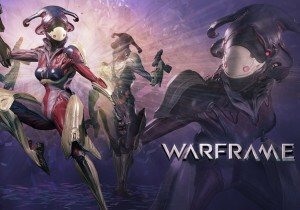 Warframe is a third-person, cooperative shooter produced by Digital Extremes, Ltd., that focuses on squad-based PvE, rather than competitive PvP. We had an opportunity to get an early look at the game, and see how well the game holds up against other shooters. Warframe’s graphics are gorgeous, and one of the first things that struck us entering the game. Even in the tutorial, where the world around you is white, the level of detail in the suits alone is astounding. At times, the game appears almost cinematic, with smooth detail and soft lighting that enhances the concept of a science-fiction world. From metal to fire, the world gleams and offers a blend of realism and art. The game’s tutorial educates you on various facets of play, including movement, firing, and melee combat. It’s the perfect length for an online shooter, teaching the basics to get players in the game quickly without leaving them fumbling at the controls. Once the tutorial is complete, Warframe also explains how to access the mission map and change your status, and then offers you your first choice of Warframe. We initially had a choice of three different Warframes: Excalibur, Loki, and Volt. Each Warframe acts like a “class” in traditional MMOs, with different active and passive skills to unlock, along with different mod slots for further customization. For example, the Loki focuses on stealth and subterfuge, while the Volt uses debilitating electrical attacks on opponents. Other frames are also available later on in the game through crafting or purchase, which we touch on a little later. After choosing a warframe, it’s off to the mission map. The map is mostly linear, allowing you to progress from planet to planet, completing various missions in each sector. Some missions will have you secure areas, while others have you retrieving data. These missions are handled smoothly, giving the game a fast paced, mission-oriented feel, without the need to kill every opponent along the way. In addition, your status will choose how you experience the missions. By default, you’re set to Open, letting you join other players in public cooperative missions. If you’re so inclined, you can also set yourself to Private to play exclusively with friends, or Solo if you wish to challenge the game on your own. Combat in Warframe is very fluid and natural, with a good dash of challenge to keep you alert. You can have a pistol (or two! ), a rifle, and a melee weapon equipped. Each weapon has their own damage, accuracy, and magazine size to take into consideration, but every weapon is balanced in different ways to offer advantages and disadvantages on the mission field. Not only that, but players can use the basic weapons right out of the tutorial, without feeling gimped. We found the default rifle to be quite efficient throughout every mission, with the right balance of power, firing speed, and accuracy. Weapons and frames can be leveled up and upgraded by using them in combat. Each weapon and frame has a different upgrade tree, giving players the choice on how to focus their points with their favorite equipment. Each piece of equipment also has a variety of mod slots, which can further enhance their abilities based on preference. Mods can be as simple as increasing armor or weapon damage, or unique like increasing your sprint speed, and each piece of gear has their own unique mods. We enjoyed discovering that there were containers in each mission that could be looted or destroyed. Loot is shared, so you don’t need to worry about one person opening everything and hoarding the items for themselves. Most commonly, these containers have ammunition, health, and energy pickups, though you can also receive crafting components, weapon and armor mods, and even blueprints to craft new items. After doing a few missions, we decided to use some of the Platinum (cash shop currency) we were provided to check out some of the other weapons and warframes. The one in particular we used the most was the Mag, which focuses on pulling and pushing enemies around, controlling the battlefield well. In fact, one of the abilities that sold us on the warframe was the ability to have all bullets strike the intended target through magnetic attraction. We will note that some things in the shop are rather expensive at this time; however, most everything can be crafted through blueprints, including warframes. Crafting is as simple as gathering the necessary components, and having the blueprint available. Frame blueprints can be purchased for in-game currency as well. Some components are quite rare, however, so replaying of missions will be required. Crafted equipment is the best in the game, so it’s worthwhile to do. Even in this early stage, Warframe has a lot of potential for the co-op shooter fans. The game plays marvelously, with only occasional hiccups and lag issues. The team has done a very good job making sure weapons and Warframes are balanced and fair, even for players who don’t pay for any of the gear. The mission variety is great to see; and although there could stand to be some variety in the environments, it is also understandable since the missions take place on ships. If you’re a fan of games like Borderlands, Warframe might be the next gun in your arsenal. Check out more on Warframe at MMOHut’s profile page, or watch our First Look video! Jagex invited us to a reveal event in San Francisco, CA for their upcoming game, Transformers Universe.